After almost two years and over $2 billion dollars that mostly rich people have spent (wasted? invested?) on the presidential campaign alone, Election Day is finally here. This Obama/Romney circus has been going on so long – and has had such little substance – it’s even made little girls cry. I feel her: while Barack and Matt try to out-imperalist each other (“I hate Iran,” “No, I REALLY hate Iran,” “Yeah, but I hate Iran AND China”), we’ve got real craziness going on that needs serious attention. It’s one week after Hurricane Sandy hit New York, and my friends on the Lower East Side still don’t have power. No one is talking about global warming. No one is even talking about the many crises we’re living in on the daily: Poverty. Foreclosures. The fact that Harvard is now cheaper than San Jose State. So…what do we do come Election Day? Do we say, “Nothing’s gonna change” and sit it out? Do we hold our noses and vote for the lesser of two evils? Or perhaps there’s another way? I do vote. I campaign for the occasional progressive candidate and proposition. But voting is NOT the only political thing I do — nor is it the most important thing I do. It’s more important to have movements that can hold politicians accountable, Democrat or Republican. Richard Nixon of all people started the Environmental Protection Agency — and it wasn’t because he liked spotted owls. It’s because a strong, independent environmental movement made him do it. So maybe the most important day this week isn’t Election Day. It’s the day AFTER the election. No matter who wins, we need to keep organizing for real change. Like the spotted owls would want us to. If I still lived in Wisconsin (or Ohio or Nevada or any other swing state), I’ve vote for Obama in a second. Not because I love him, or support the drones, the deportations, and how he forgot about the ‘hood. It’s beautiful to have a black president, but I’m originally from DC — we’ve had black mayors for three decades (shout out to Marion Barry), and they didn’t come through on much hope or change either. Romney is a joke. But he’s a crazy, terrifying joke. Romney personally might not be that much worse than Obama, but the whole Tea Party-right-wing-racist-anti-Obama backlash that is the core of the modern Republican Party represents the ugliest side of American culture and politics. A Romney presidency and Republican majority Congress is a scary thought indeed. My favorite answer to the “electoral politics vs. movement politics” question came this year from the courageous riders of the UndocuBus. Undocumented activists who have long campaigned for immigrant rights, this year they decided to protest outside the Democratic National Convention. When asked why, they said, “Neither party agrees with us. But one of them we can at least negotiate with and hold them accountable.” A smart approach in my book — and incidentally from a group of people who can’t vote. Strategically…if I was in a swing state, I’d vote Obama. But since I live in bluer-than-blue California, I have the privilege (and responsibility) of voting for a candidate I actually like: Jill Stein of the Green Party. 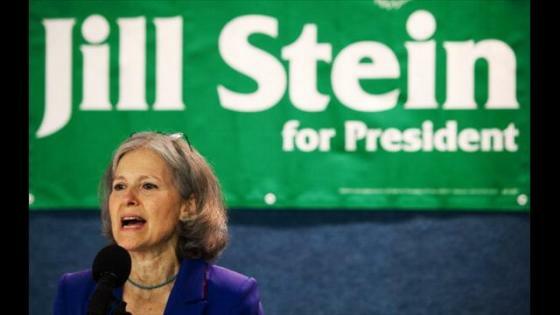 Stein supports all the good stuff: universal health care, free college tuition, a moratorium on foreclosures, sustainable environmental policies, all of that. Does she have any chance of winning? Of course not. But if she gets 5% of the vote, the Green Party qualifies for public funding ($20 million dollars) in the next election. That’s big. So I’m voting Green in Cali. And fighting for electoral reform across the map, so that next time, the presidential candidates have to pay as much attention to East Oakland as they do to eastern Ohio. Now what about the rest of the ballot? Tax the rich? I like that. Raise billions of dollars for our broke public school and services? I’m down. Begin turning the tide of three decades of the anti-tax, anti-social mess created by Prop 13 and a bunch of crazy Orange County billionaires? You’re goddamn right. 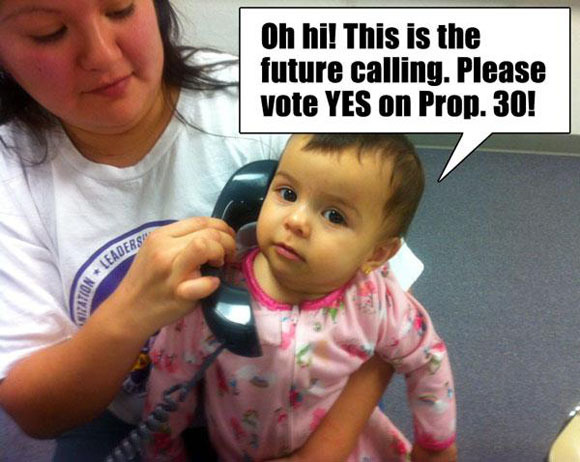 Prop 30 ain’t perfect, and it doesn’t go far enough, but it’s a start. And hey, it’s endorsed by my good friend, the Millionaire Tax Virgin. Another, but less appealing, budget measure, Prop 31 would ban the state legislature from creating any new social programs unless they cut an existing program, or find new revenue. That means less services, more cuts. When it comes to 31, remember what Nancy Reagan told you: Just Say NO. 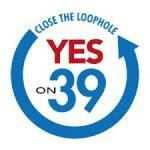 Prop 32 is Big Business’ attempt to push through some good old-fashioned union-busting at the ballot box. Don’t believe the hype that this is about “campaign finance reform” — Prop 32 would destroy unions’ ability to raise money for political campaigns, while saying nothing about corporate or Super PAC billionaires’ contributions. Workers need MORE voice, not less. No on 32. Prop 33 is the perfect example of how the initiative process in California, originally a progressive reform to ensure more public opinion, has been perverted into another tool of the 1%. This proposition about auto insurance rates was written and funded almost totally by the CEO of Mercury Auto Insurance, George Joseph. I don’t know about you, but I don’t trust insurance companies to bring my insurance rates down. No thanks, George. Outlawing the death penalty and replacing it with life without parole, Prop 34 is one of the two initiatives I’ve really had to think about this year. I’m 100% against the death penalty, so it seems like an easy yes, right? But then I found out Prop 34 would also reduce inmates’ appeal money, meaning it’d be harder for them to prove their innocence and/or reduce their sentence. That’s why some death row prisoners have actually come against Prop 34. Normally, I try to follow the lead of the people most affected, but in this case I have to disagree, just in terms of strategy. Let’s do away with the death penalty first — and then change the parole/appeals process and the worst parts of the prison-industrial complex. I’m voting yes on 34. And continuing to fight. The “Three Strikes Law” is one of those worst aspects of the prison-industrial complex I was talking about. I have a former student who got 15-20 years in maximum-security prison…for shoplifting some hats from Macy’s. I’m not kidding. Prop 36 would make it so that Three Strikes would only apply to “violent” felonies. A small, but important reform that could keep thousands of non-violent folks from being forced into our violent prison system. Want to know if your corn on the cob has been genetically modified? Or if Monsanto put some extra chemicals in that glass of milk? Prop 37 would be a landmark law in the U.S., forcing companies to label any foods that are genetically engineered. Those foods cause health problems and treat the environment like a trash dump. Stand with farmworkers, with consumers, with your own delicious tastebuds, and vote Yes on 37. 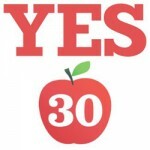 The rival measure to Prop 30, this one similarly raises taxes to support public education. Sounds good, right? The problem is that is raises taxes on people across all incomes, unlike Prop 30 which focuses on the super-wealthy. I do support schools, but I don’t support regressive taxation. This was my other hard call, but I’m going No on 38. 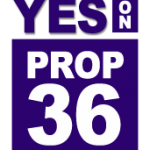 Short, sweet, and to the point: Prop 39 closes one corporate tax loophole, and raise over $1 billion in the process for education, clean energy, and other state needs. I like it. Unless you yourself are an out-of-state corporation (which would be weird…because you probably live in California and definitely are an actual person, reading this right now), you should like it too. Redistricting is a big issue — how electoral districts are drawn and re-drawn has everything to do with race, class, power, and plenty of political corruption. Here, the Republicans are trying to block the 2010 round of redistricting that more accurately represented California demographics. I’m with the people. Yes on 40. It’s not that I don’t love animals. I’m cool with pandas — and most types of monkeys. I just don’t like expanding the zoo by paving over Knowland Park, one of my favorite spots in the Bay and home to lots of native animals in their own right. Ever take the bus? BART? Shoot, do you like driving downing streets without potholes? I do. Now imagine if the 1R came down International every 5 minutes instead of every 20. I bet a lot more people would take the bus. Measure B1 continues an ongoing sales tax, which is a regressive form of revenue (poor people pay a bigger percentage than rich people). So it’s far from perfect. But given the choices, and the fact that the state and federal government spend pennies (if that) on public transportation, I’m for it. I work at an Oakland public school. We’ve got broken ceilings, broken desks, and half the classes are in portables that are little more than trailer parks with blackboards. Measure J is for upgrading Oakland’s school facilities. I wish they’d upgrade the actual education going on in the schools, but hey, you gotta start somewhere. The incumbent is Democratic machine politician Lori Hancock (former assemblywoman, former Berkeley mayor, and married to the current, long-time Berkeley mayor Tom Bates). No, thanks. I’ll go with the Peace and Freedom candidate, who I’ll admit I know nothing about…but I’m guessing she’s for peace and freedom. Some of these local races between two Democrats are hard to tell. Abel Guillen and Rob Bonta both seem decent, but Guillen seems better, more rooted in the community, and more willing to fight. Another Democratic infight, I’m going with the incumbent Barbara Parker over Jane Brunner, who has been an inconsistent member of the City Council for way too long. Who likes Instant Runoff Voting (IRV)? I do! And so do most people. Now in our second go-round in Oakland, IRV lets you vote your vales AND your pragmatism. That way I can vote for the Green Party candidate Anderson first, knowing she probably won’t win, and then vote for Kaplan, who I have a love/hate relationship with — but hey, that’s better than my hate/hate relationship with her challanger, the “cops, cops, and more cops” Ignacio de la Fuente. Yes, I even have an endorsement for AC Transit Board! Take that, League of Women Voters! So, uh….who is my vote for our oh-so-exciting local public transportation authority? Well, the candidates are that one guy, and that other guy. And I heard from my peoples who know more about this stuff that the one guy is better than the other guy. So I’m gonna go with that peoples, and their guy, whose name is actually Peeples. Works for me! ….So there you have it, the Josh Healey personal election guide for 2012. May all the political ads and polls and red state/blue state nonsense be over soon, so we can go back to doing what we actually need to do in this country: organizing mass movements for mass transformation, building community and creating change every day, and always, always, rooting against the Dallas Cowboys.